The dog days of summer are here, but there are still many golf weeks left to play in the Canadian Rockies. Even though the Kananaskis Country Golf Course is still closed, with our partners at the Delta Lodge at Kananaskis, Canmore Golf & Curling Club, Stewart Creek, Silvertip Resort and Banff Springs Golf Course, we are pleased to present this unbelievable deal for the remainder of 2013! Stay two nights at the Delta Lodge at Kananaskis, and we will throw in a $75.00 Resort Credit that can be used for meals, spa or retail shopping at the hotel! And enjoy a round of golf at the Canmore Golf and Curling Club, a short 25 minute drive from Kananaskis. And for stays Sunday thru Thursday, rooms are subject to a complimentary upgrade to Signature Club, the hotel’s top room category! This is subject to availability. Double occupancy in a Delta Premier room category. *** add rounds of golf at Stewart Creek, Silvertip Resort or Banff Springs at additional charge. Call for details – 877 323 3633! Looking for a special gift for the golfer in your life or business? 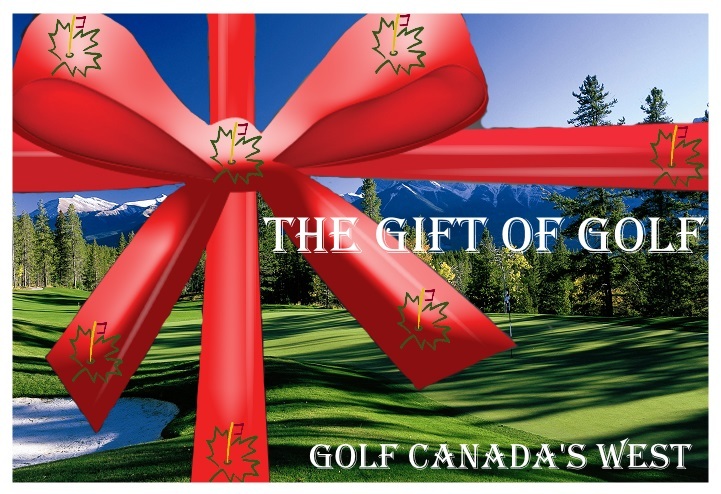 Golf Canada’s West Gift Packages are perfect for those who love golf! Gift packages can be purchased in set amounts or may be purchased for a specific golf vacation package.